How should I position the legs on my table? - The Hairpin Leg Co. - Answer your questions. How should I position the legs on my table? 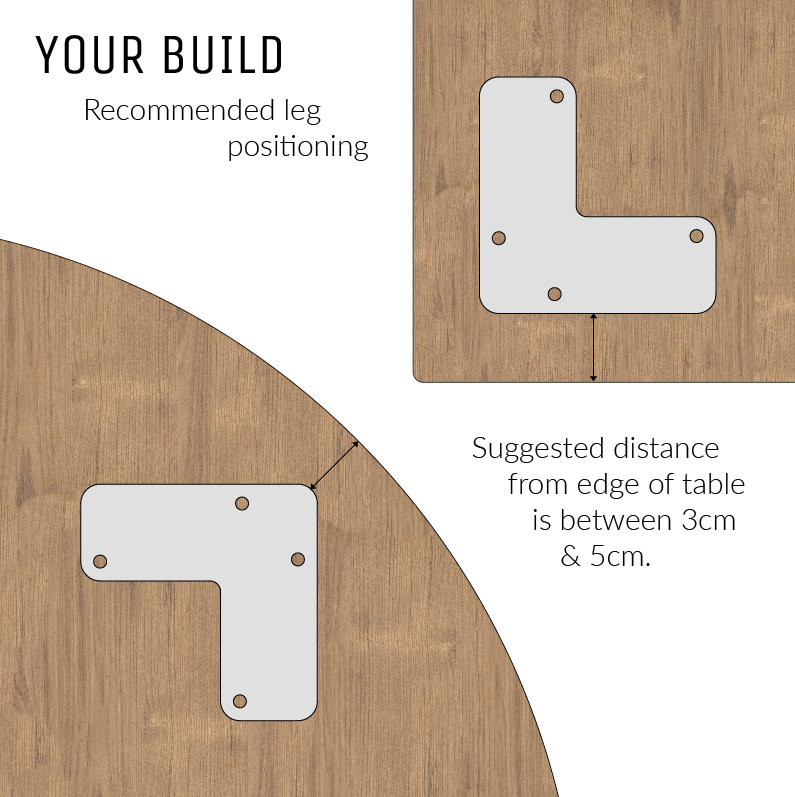 On a standard table, we suggest placing your at all 4 corners and inset from the edge between 3cm - 5cm.